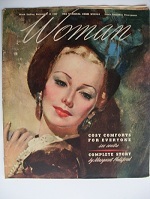 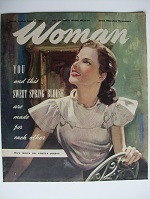 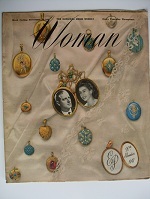 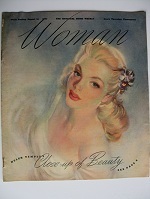 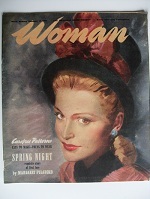 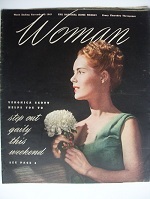 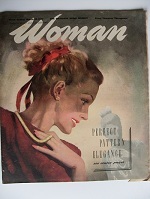 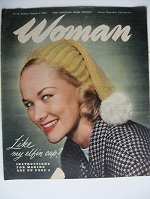 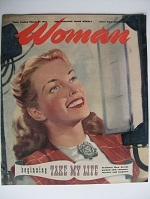 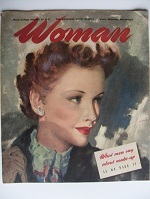 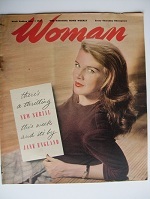 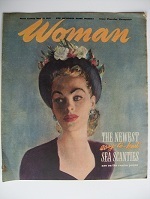 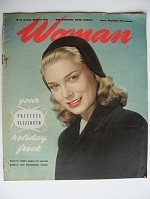 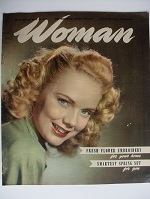 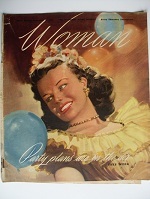 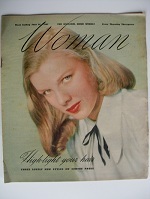 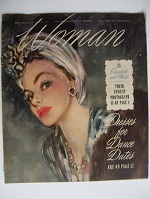 Woman Magazines from 1947 Available from www.vintagebritishstyle.com. 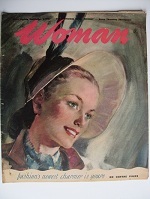 Please note that as was common with many UK magazines that some of these issues have a pencil (sometimes pen ) name or address on them which is usually on the top front or back cover margin. 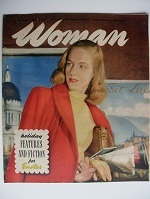 This would have been marked on by the original newsagent. 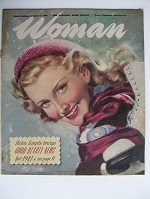 This magazine was a typical stapled British magazine. 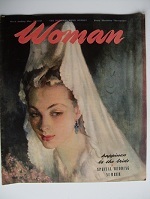 As usual there is a little discolouring to the paper over the years and minor little folds etc to the edges of the paper on some magazines. 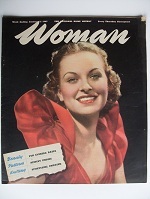 All magazines have all however been stored flat over the years and unless noted otherwise are in VG condition (or slightly better). 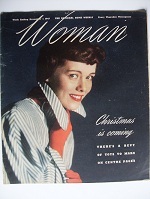 Please note that the cover dates on British weekly magazines(as with most weekly magazines/periodicals) IS USUALLY NOT THE DATE that the magazine was for sale on, but the date usually for Saturday at the end of the week of publication. 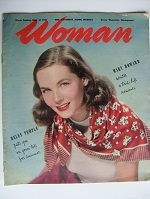 This was done to give newsagents some time to sell the magazine before it was out of date. 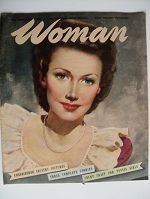 Most British magazines state clearly what day they actually went on sale and this can be seen clearly from the scans. 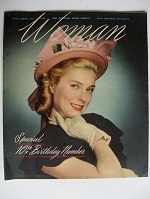 If you are buying magazines for a Birthday or Anniversary gift then it is better to be buying for a specific week rather than an actual date as this in many cases will not be a published date. 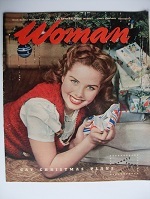 PLEASE NOTE THAT UNLESS NOTED FREE GIFTS ARE NO LONGER WITH THE MAGAZINE.